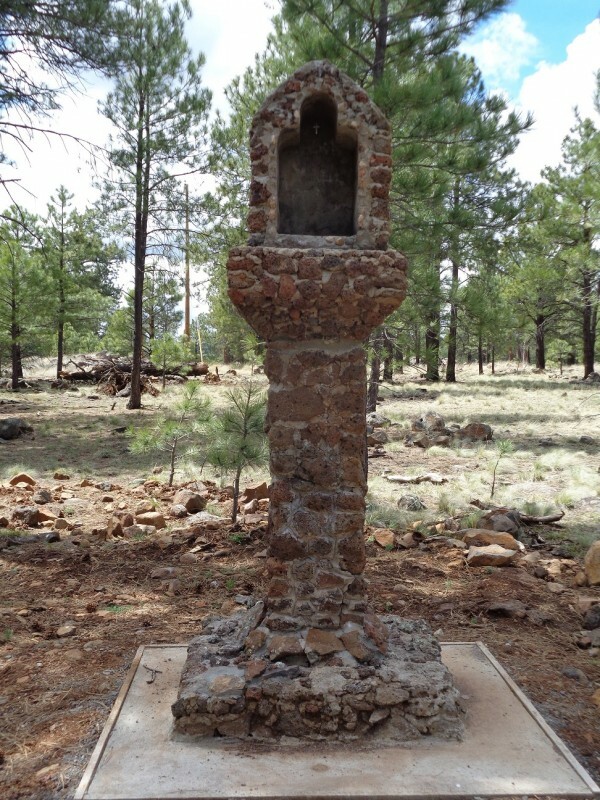 Camp Navajo is located west of Flagstaff and east of Williams, Arizona. From I-40, use exit 185. 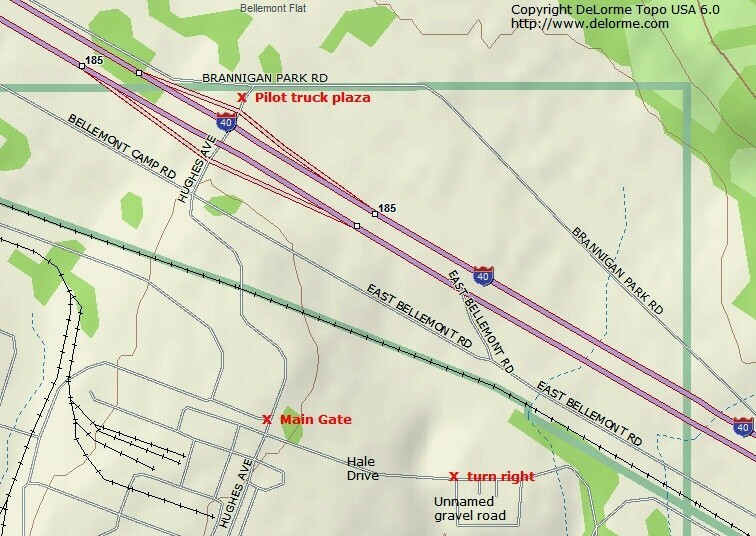 Turn south onto Hughes Avenue, go across East Bellecamp Road, at which point Hughes Ave immediately veers left (east) toward an overpass that crosses over railroad tracks. Follow Hughes for 0.5 miles to the main gate. Immediately after passing thru the gate entrance, turn left onto Hale Drive. Follow Hale Drive east for 0.3 miles, then turn right onto an unnamed gravel road. The turn is not well signed, but is just before passing thru a large vehicle storage facility. Follow the slightly-winding gravel road for 0.2 miles where it terminates at the FamCamp. Not accepted. Best to call ahead for availability. Allowed with usual leash and clean-up rules. Pets cannot be left unattended at any time. 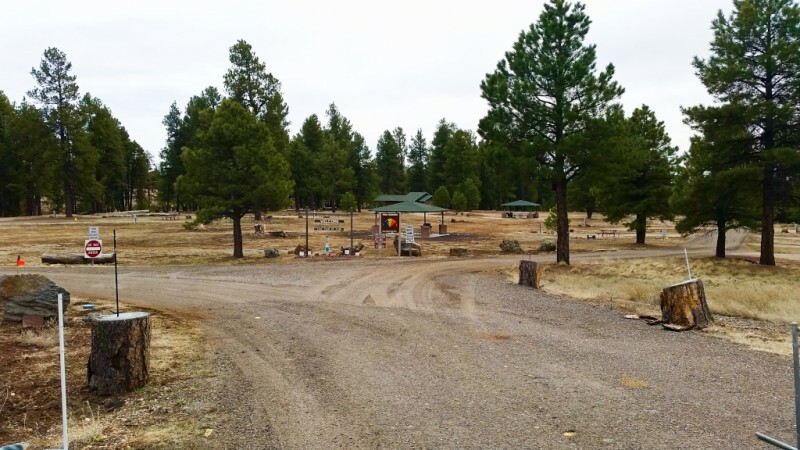 Possession of firearms is prohibited, except by hunter with a valid Camp Navajo hunting permit, who must have a trigger or cable lock on weapons when passing throug the administrative area. We would have liked to stay here, but they were still closed for the winter. Although, the weather was great. We did stop by for a look and liked the campground. It looks quiet and relaxing, mixed in with the trees. The roads and sites are gravel. This isn't a fancy "RV Park", but a nice campground. We'll try to come back during the summer, when we can stay here. 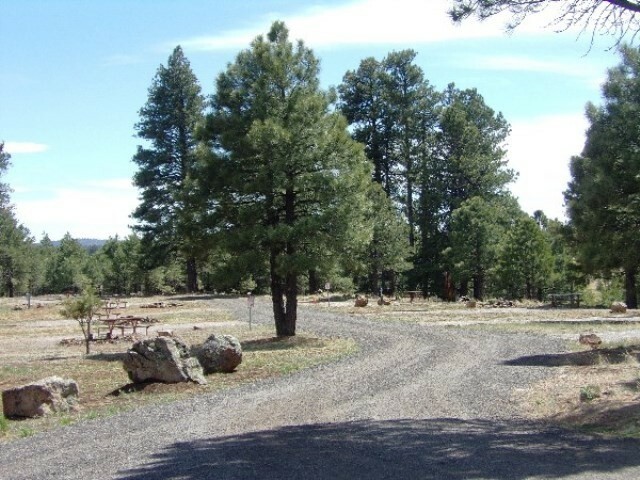 Camp Navajo is rural, beautiful and very pleasant. George and Vicki do a great job as camp hosts. We love it. Camp host Vicky and George are super. They keep the showers and laundry areas the cleanest we have seen. Since this is a no sewer hook up site these areas see lots of use. The sites are gravel and small there are a few sites that will fit big rigs. Very rural and quiet. We enjoyed our stay and will return. Some confusion when we arrived. They don't take reservations so call ahead of your planned stay, and they will hold a space for you. 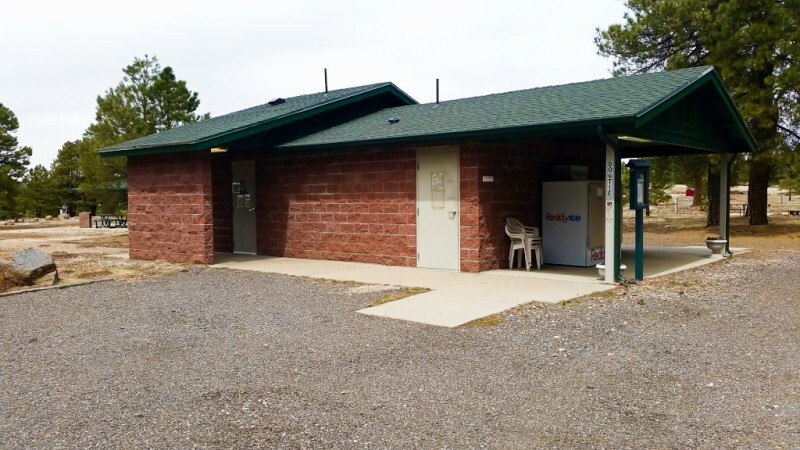 We had to leave the park but the park but Vicky did help us find a location on BLM land that was close and George let us use the waste dump facility and fresh water there. Both George and Vicky did get us a space in the park and are were very accommodating to my family. We look forward to visiting again. Will definitely come back!!! 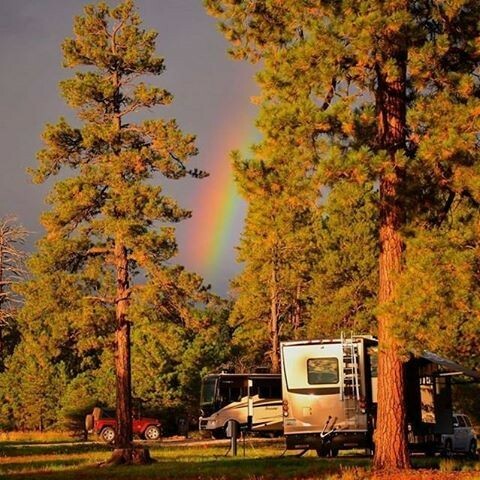 15 mins from Flagstaff, less than 90 mins from Grand Canyon, Camping World right outside base and truck stop at the exit. Basic amenities include very, VERY clean bathrooms, showers, laundry, and dump. There was also a hose & long handle brush set out for washing vehicles, walking sticks and corn hole game available to anyone. Nothing else on base except a small exchange run out of a truck. The hosts were wonderful to work with!!! I called ahead to make sure they had open sites. They saved a large site for us, knowing we had a 40' 5th wheel. There were other open sites when we arrived, but nice knowing we had a site we would fit in! No sewer, but you can ask hosts if you can drain your gray water. We stayed a month and if we needed to stay longer there were sites available. Read the attachment with updated info and since you can't make reservations, just communicate with the hosts and you'll be good to go! Good to see the POW Monument standing again, after the tornado knocked it down. Beautiful job. Thanx to ALL involved in the project!!!! Very convenient place for us to stop for the night on our way back to California. Easy access from I-40 and there's a Pilot station and a Camping World at the exit! George and Vicki were great hosts and really went the extra mile to accommodate us. After I emailed checking availability, Vicki told me they were full for the week. The next morning after another guest unexpectedly departed, Vicki called me and let us know she had a site for us if we were still interested. 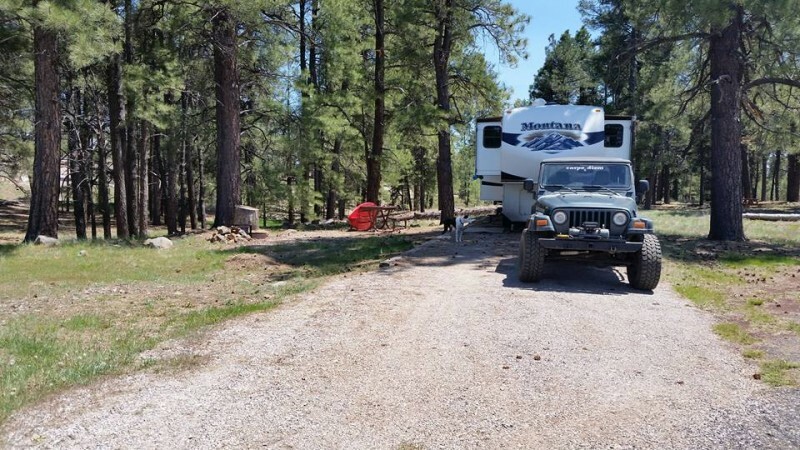 The site (#11) appeared to be long and level and we were able to back our 38' coach into our site and connect utilities without disconnecting our car trailer. Overall a great value for the money...we will be back the next time we pass through. Big rig friendly, Host was friendly and helpful, I enjoyed the friendly atmosphere, the easy access to spaces. 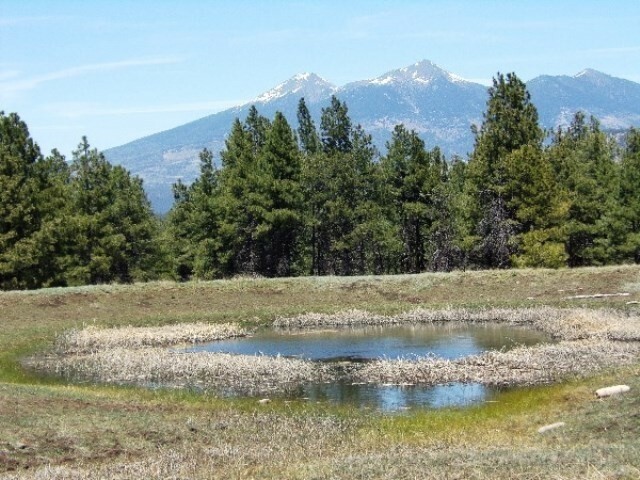 About 12 miles from Flagstaff, Of course Flagstaff is a great place to visit, especially for biking and hiking. This may be the all-time best kept secret in the entire Military Campgrounds world. Camp hosts George and Vicki are so friendly and helpful that they received a visit and recognition from a general officer just this week. And the new garrison commander, an 0-5 who arrived in July of 2013, told us at a hosted BBQ this weekend that his intention is to expand the famcamp, which would be a great thing. 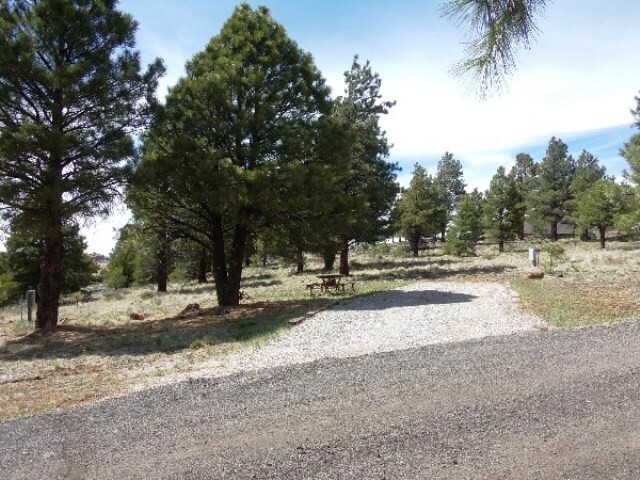 Just 8 miles from Fort Tuthill, and only two exits west of Flagstaff, there is tons of room between rigs, flat ground, and a very clean laundry room and shower. The latter will need to be expanded if the park grows, but for now it's perfect. This is an ideal counterpoint to the noisy, dog-ridden crowd at Fort Tuthill. I hope they'll figure out a way to provide black water hook-up soon, though. That's my only criticism. 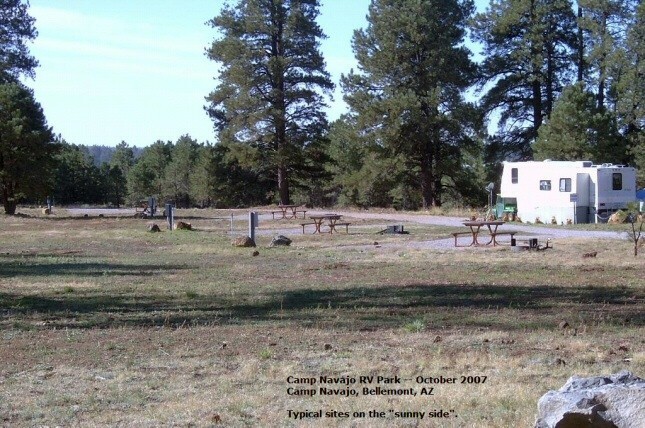 In every other way, this is just what an RVer or tent camper could hope for....darkness at night sufficient to do stargazing, utter silence of the forested area, and yet the security of being on an Army post. There are other federal agencies conducting business here, so you have to show your ID at the small gate, but everyone has been friendly and fun. Enjoy! Third time at this park. Vickie 'n George are great hosts. Great place to stay to visit local area attractions of which there are many. Wouldn't recommend for families with children as there are no facilities for them to safely play. Landscape is rocky and wooded. 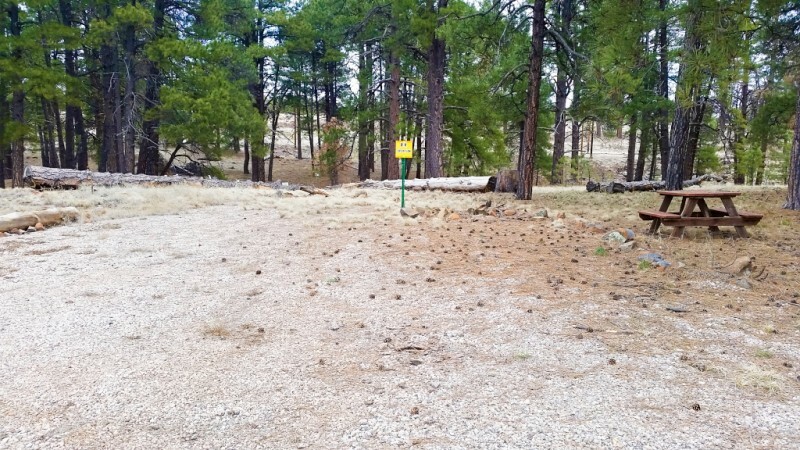 Ft. Tuthill in Flagstaff would be a better choice for children. About 20 miles into town for shopping, either Flagstaff or Williams. R.L. left this review using the Directory software: - This is a great place for one who likes a little isolation. It's quite a drive to any of the sights. Shopping about 8 miles one way. It is a great camp with a beautiful view. George and Vicki, the hosts are great. Vicki is starting morning walks around the camp to see sights like the WWII pow camp remains and the national guard training village. By our second day the gate guard was just waving at us and telling us to come through. That's how friendly it is. We stayed here for two weeks passing time and waiting for snow to melt in Colorado. The park hosts, George and Vickie, are great. They are helpful if you need information on things to do in the area and they keep the showers/bathhouse/laundry spotless. We were able to pick up three or four TV stations (only 1 major network) on antenna with HD TV. No wi-fi in the park. Dump Station only on the way out/in. The post exchange is a semi trailer which appears to be open 6 days a week with minimal items in store: toothpaste, candy bars, soda pops, ice cream, toiletries, and a ton of shower shoes. We could hear trains several times a day but you get used to them. 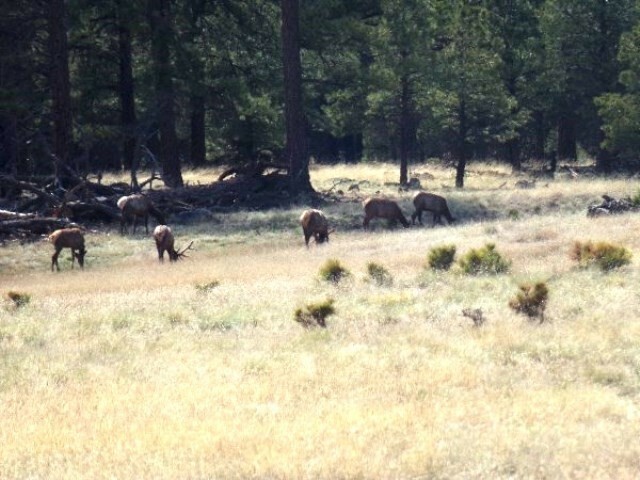 We saw elk, pronghorn antelope and coyotes on the base. 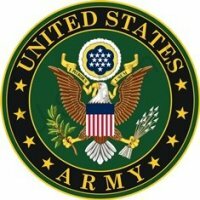 The army plays war games sometimes, with urban warfare training close by. So, you might hear a loud boom and lots of rat-a-tat during the day but not often. 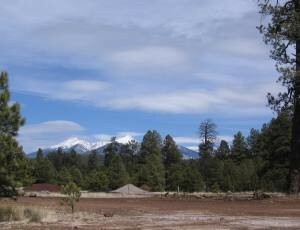 I have stayed before for one night and made a decision to come back and see more of the Flagstaff area! I would give this place a 5.0 rating if it had wi-fi and TV. Stayed here while helping a friend with archery bull elk hunt in Unit 11M. 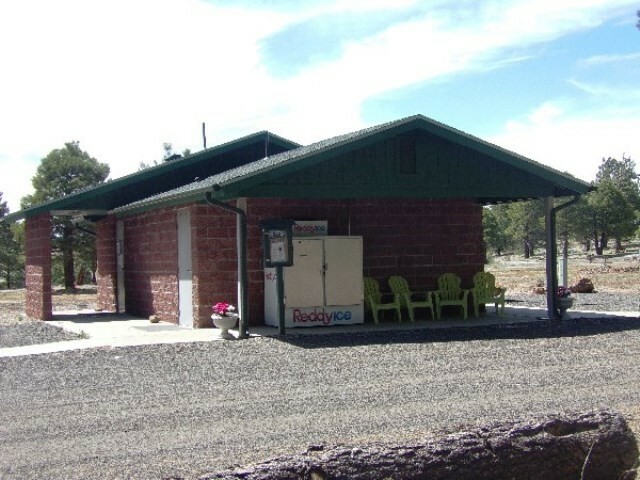 Several of us had problems with pack rats getting into our RV sub floors during our stay here. Previous travelers had fed chipmunks and bluejays with peanuts and other food and probably helped create rodent problem. 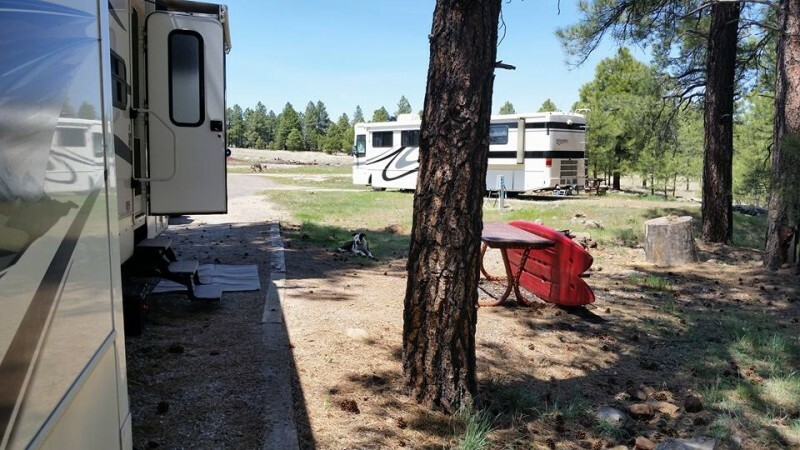 One RV couple had $1600 worth of damage by pack rat chewing on wires in their RV. Base commander and camp host did implement policy to stop feeding wildlife once these issues were brought to their attention. Due to the excessive rain received here during prolonged monsoon season the mosquitoes were also an issue until the weather got cooler. 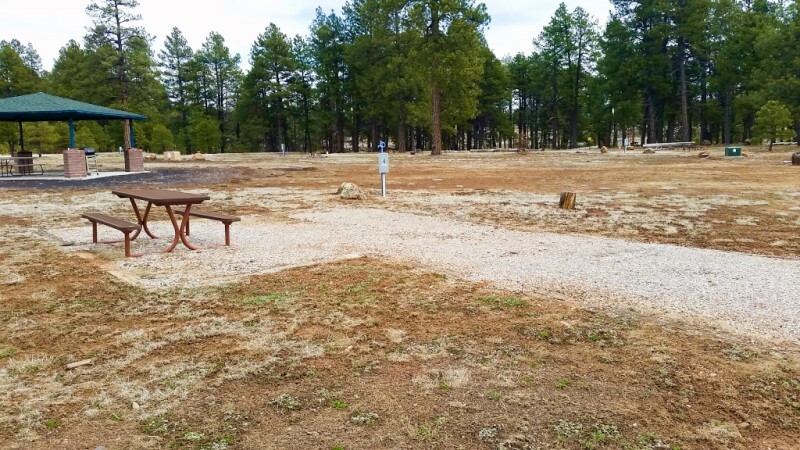 Spaces are more open than Ft. Tuthill RV campground just down the road. 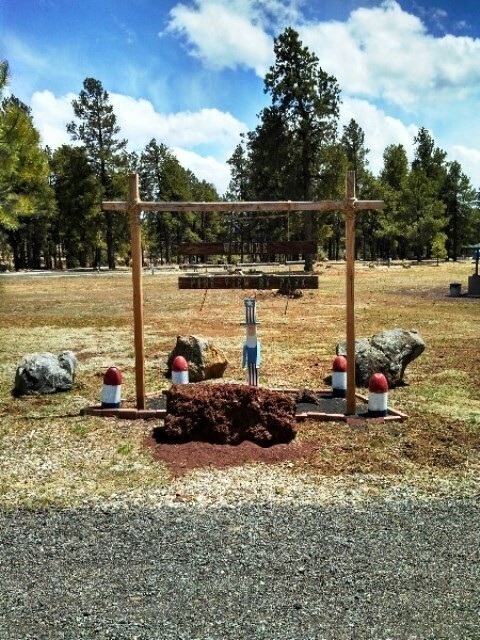 Some feral cats may help this campground get things back in order. Good luck! We stayed here in August and loved it. The camp host (Ed) was there for any needed help. He has done a great job of making improvements to the park and has done a lot of hard work. Ed cooks a great burger and has everyone get together to introduce themselves. The only two things missing at this park is internet connection and sewer connections. A great place to stay and we are hoping to go back! Thanks, Ed! I love this place. Only negative, noise from interstate and train but you get used to it. Ed the camp host is great. Works really hard to fix the place up and it shows. Great base from which to site see the area. We had planned on staying here 3 nights, and spent the whole week. This is a great park with a fantastic host. Ed gave us all the info we needed to get settled in. He even showed us a tour of the area. 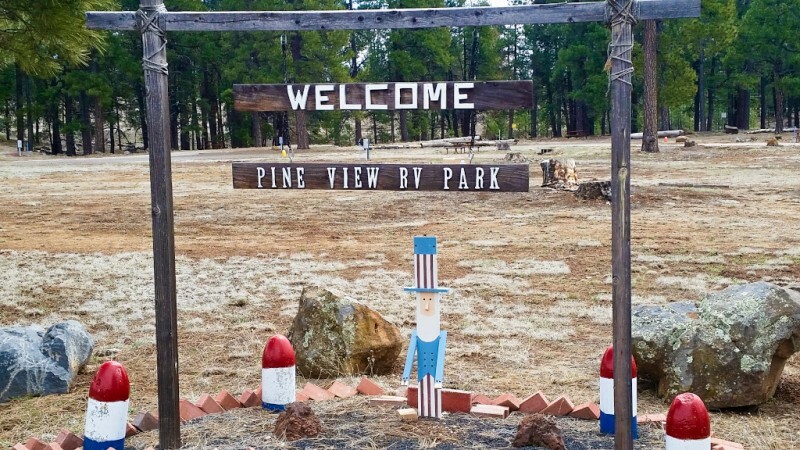 There is a POW camp here that is a interesting site to see. 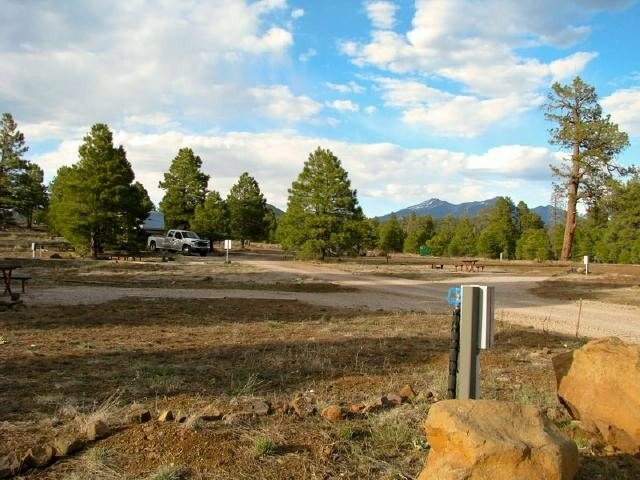 The RV park is in a great location with a nice view in the tall pines, but with enough open space to get satellite! There is no sewer hookup, which is one of the bad things. There is a dump station on the way in and out. The other negative would be the dust from the dirt road. People do drive slow, 5 MPH, so it is tolerable. The bathrooms and showers are spotless, as is the laundry room. 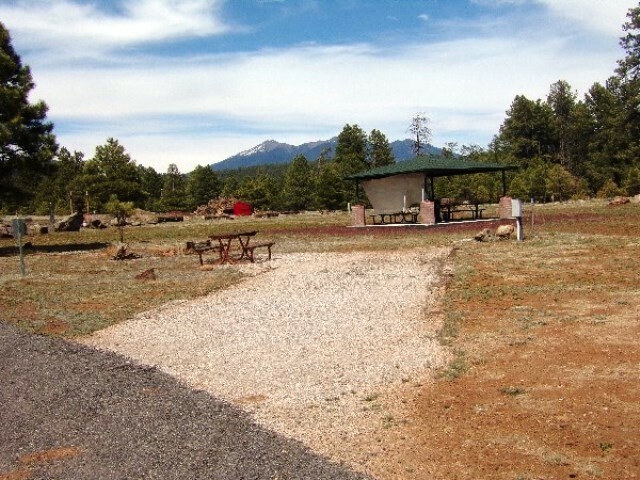 Flagstaff is a short 10 mile drive. All in all this is one of the best hidden gems. Cant wait to go back! A well kept military secret! 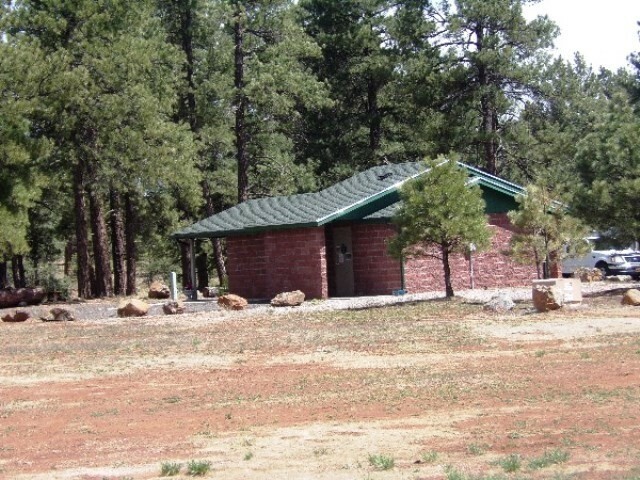 Great location, close to Flagstaff, Sunset Volcano National Monument and Wupatki National Monument. All sites are back in, but spacious. Host was very friendly. A PX on wheels near the Main gate. Only has snacks and basic toiletry items. Understand that base is busy mid-May through Sept. with National Guard troops. Camping World just a few minutes from the Gate. Enjoyed our visit. Would stay again if in the area.